Steam, with its utilization as a means of transferring heat, as well as a motive force, is found in use throughout many industries. The production of steam is a significant cost of operation for any business where it is employed. Steam, after performing its intended function, still contains a comparatively large amount of heat, so methods of recovering or utilizing that heat energy remaining in waste steam is a positive step in conservation. Energy conservation and energy efficiency have contributed very large cost savings to many industrial and commercial operations over the past two decades. Projects with modest payback periods quickly contribute to the bottom line of the operation's balance sheet. It is not uncommon for energy conservation and efficiency measures contribute to improvement in the overall functioning of the steam utilization equipment or systems. In order to save energy, it is generally necessary to exercise better control over equipment or system operation by gathering more information about the current operating state. This additional information, gathered through measurement instrumentation, often finds use in several ways that improve productivity and performance. A thermocompressor is a type of ejector that mixes high pressure steam with a lower pressure steam flow, creating a usable discharge steam source and conserving, through reuse, the remaining heat content of the otherwise wasted low pressure steam. The device is compact and simple, with no moving parts or special maintenance requirements. Two general varieties are available. 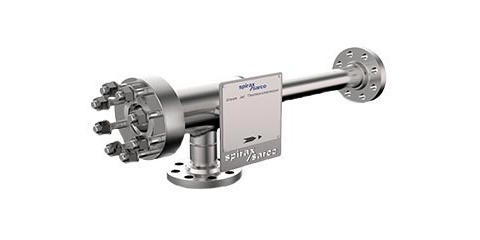 A fixed nozzle style is intended for applications with minimal variation in the supply and condition of the suction steam (the low pressure steam). Some control is achievable through the regulation of the high pressure steam flow with an external control valve. A second style provides a means of regulating the cross sectional area through which the high pressure steam flows in the nozzle. This style is best applied when specific discharge flow or pressure is required, or there is significant variation in the inlet steam conditions. Share your steam system challenges with a steam system application specialist. Leverage your own process and facilities knowledge and experience with their product application expertise to develop effective solutions.